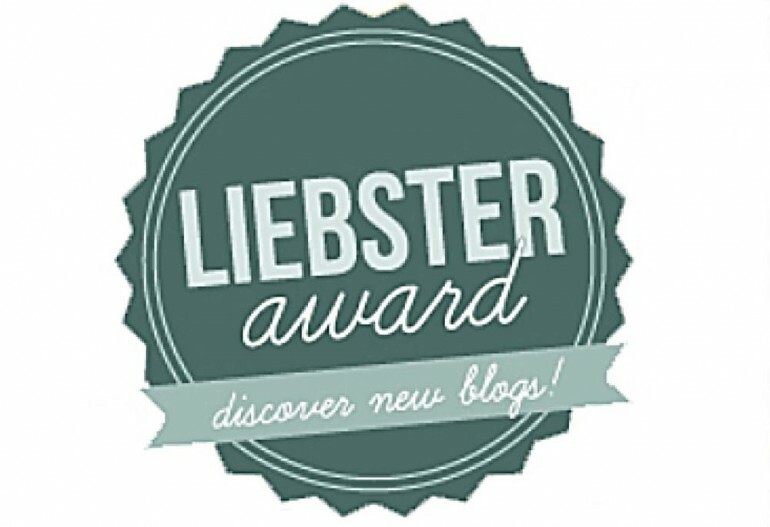 The Liebster Award…I have seen many blogs that have this award and never knew what it was until I was nominated by Laura’s Creative Adventures. Thank you Laura for the honor of getting one of these cool awards! Laura explained how this award can be found only on the internet. It usually goes out to bloggers that have 200 or fewer followers. In other words, new, undiscovered blogs. Another fun fact about this award is that you can only be nominated by other bloggers. 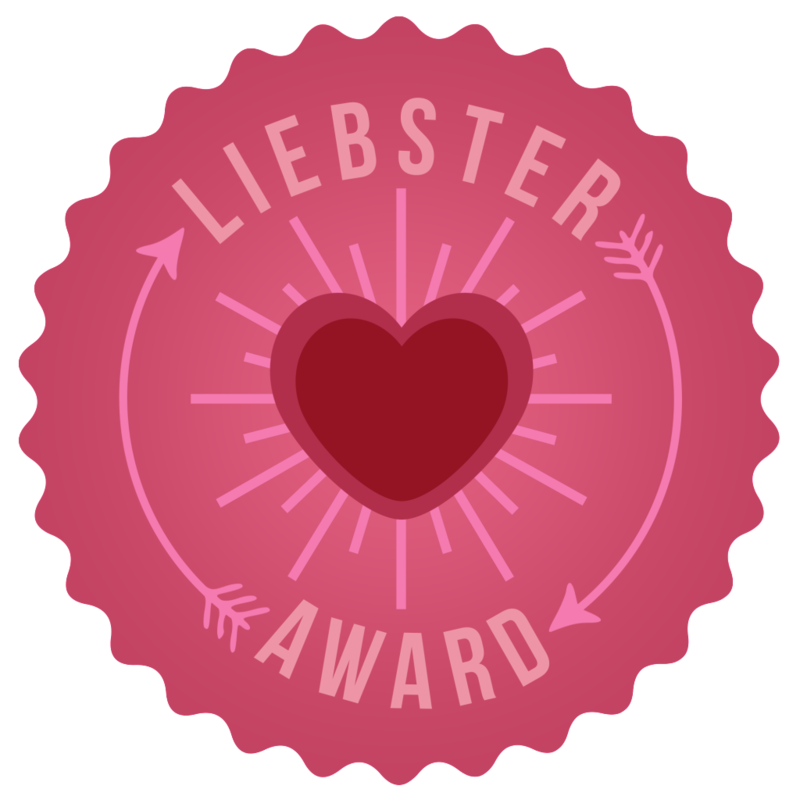 I also found out that the word liebster means beloved, sweetheart, and boyfriend (or can be translated to lover). 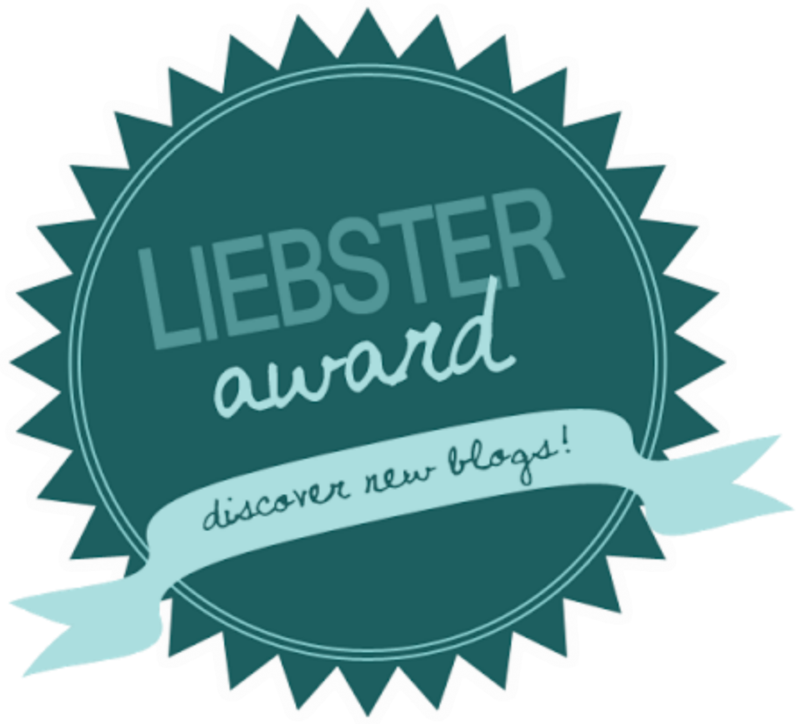 This award is kinda like a pay-it-forward thing that welcomes new bloggers to the blog-verse! Which I find personally kinda cool. Answer 11 questions set by the blogger who nominated you. Continue with 11 facts about yourself. Pay-it-Forward and nominate 11 bloggers with less than 200 followers. Be kind, and let the new nominees know what is happening by notifying them. Oh! Ask 11 new questions for them to answer. 2. Where were you born and where do you live now? 3. What’s your favorite song and why? This is a tough question to answer. I guess I’ll pick the one that makes me smile every time I hear it. It’s called “Everytime We Touch” by Cascada. When I first heard this song in middle school, I fell in love with. To this day when I hear it I can’t help but smile. So I guess it’s my favorite song. 4. What’s your favorite dish? Pancakes! Or Pizza! I can’t really decide on this one, but both are fantastic. 5. How did you choose your blog’s name? My blog’s name is ArtsyRobot. My boyfriend actually named it for me, but it was for a whole different project that never took off. (That’s another story for another time. 😉 ) The name is a combination of my love for artsy things and science, meshed into one. 6. If you could bring someone back to life, who would it be? Usually I would put Abraham Lincoln because I think it would be great to hear his opinions about life. However, a week or so ago the son of a woman who works with my dad passed away. I think I would want to bring him back to life, because he was only 13 and had so much of life ahead of him. This is of course assuming that the person you bring back to life doesn’t crave brains or murder. Get a nice cup of coffee and sit down to watch, listen, or read stories (So books, comics, movies, tv shows, video games, podcasts, etc.). I also like to hang out with friends and play tabletop games. Not just the classic Clue and Monopoly, but Catan, Sentinels of the Multiverse, Legendary, and such. 9. Who are the people you love the most? My hobbies include, but are not limited to: crafting, artsy things, jewelry-making, reading, hiking, adventuring, tabletop games, video games, and watching netflix. 11. What is the one thing you really would like to do in your life? I want to change someone’s life. I know that it’s selfish, but I would love it if one day someone looked up to me. That my stories and thoughts gave them the courage to live their own dreams. 1. I love dressing up for an occasion. Whether it be a graduation ceremony or a renaissance fair. Just dressing up and being a part of the atmosphere makes such occasions so exciting for me. 2. I have a younger brother by two years. He was always the smart kid of the family, and I was very jealous of how easy life seem to be for him. Today, I’ve gotten over the petty jealously and I’m really proud of him and his journey. Not everyone has to take the same path to success. 3. I’m allergic to chocolate…. 4. I have Cherokee, Irish, English, Scottish, and Jewish blood in me. (That’s all that I know of anyways.) I love getting to know more about these cultures, learning their faults and strengths, and trying to learn from my past heritage. 5. I am as eco-friendly as I can be. I want to do as little harm as I can to the Earth, that way it’s still livable five generations from now. So “reduce, reuse, recycle” is one of my motto’s for life. 6. Old movies, and foreign movies are more enjoyable to me than most of the American movies being produced today. 7. I love parties. Not the “let’s get drunk and forget the night!” kind, but ones that celebrate an occasion. (Refer back to Fun Fact #1.) Baby showers, sports games, weddings, graduating, conventions, etc. 8. My video game is tied between Okami and The World Ends With You. 9. I am more of a DC fan then Marvel, but I am not blind to the faults nor strengths of each comic book company. 10. I am Aquarius, and it seems like a lot of the stereotypes for Aquarians fit my personality pretty well. 11. I only started getting into video games and comics in 2011. I was always a book lover though. 1. What is your favorite motto/quote? 2. If you were able to have any animal as a pet, what would it be? 3. What help you decide to start blogging? 5. Who would you love to meet in person? 6. What superpower would you like to have? Why? 9. How would you describe yourself? 10. Most important person in your life. Of course! You have such a beautiful blog!